Bison County, located on Moody Street in Waltham, has everything a college student could want. From diverse and delicious drink and food menus to a convenient, fun, and comfortable atmosphere, Bison County delivers on all fronts. We decided to visit on a whim and could only meet up later in the night. Many of the restaurants we looked into did not serve food after 9:00 p.m. However, Bison County keeps things rolling until midnight, making this a convenient option for college students who want to grab a bite and drink later in the evening. This bar and grill specializes in southern-style cuisine. Their food menu is diverse and perfect for anyone who enjoys barbeque. While much on the menu is appealing to meat eaters, Bison County has many vegetarian options. One of the highlights of this restaurant is its extensive beer menu. There are many draft options and the bottled variety seems endless. When we arrived, we found that there a game of trivia going on. The restaurant has trivia games every Tuesday starting at 8:00 p.m. and we lamented that we had missed the start of the game. We were quickly seated by a friendly waitress and the service was consistent throughout the night. Along with our dining companion, we agreed to each order a beer and decided to order something that we had never had before. There were so many options that it took us awhile to find our choices, but they didn’t disappoint. Leinenkugel’s Sunset Wheat reminded our dining companion of summer in a tasty and well-rounded beer. Groundsell’s Belgian Style Blonde was a crisp wheat beer with a very light taste. 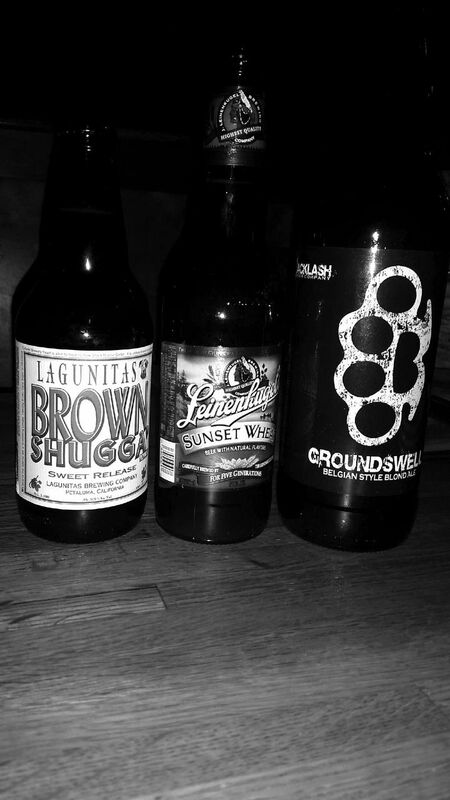 Lagunitas Brown Shugga packed a punch and was very flavorful. We decided to start with The Stampede (10.95), a nachos appetizer that features chili. It was tasty and satisfied us until our meal orders arrived without being too heavy. We ordered the BBQ Smoked Brisket ($16.95) and the Bozeman Bison Tips ($17.95) while our dining companion ordered the NY Sirloin Burger ($8.95). The brisket was smoked for 12 hours, leaving it lean and tender with a smoky aftertaste. It has a melt-in-your-mouth quality and paired excellently with the garlic mashed potatoes and fresh cole slaw. The bison tips were a delicious alternative to traditional steak tips. Bison meat is low in fat and cholesterol, so it is a healthier option as well. These were cooked to perfection and also went well with the choice of garlic mashed potatoes and cole slaw. 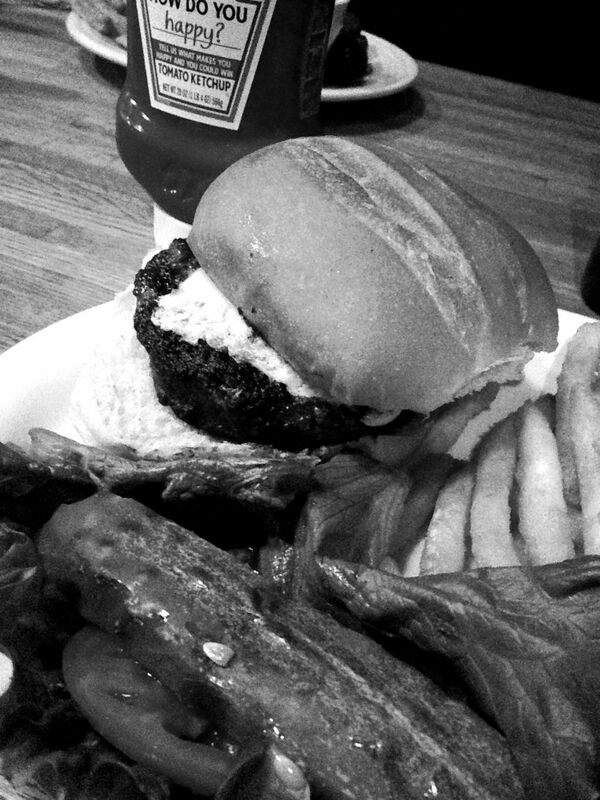 The sirloin burger was well-cooked and huge, so it was hard to finish. Everything on it was great, but there was a 75 cent additional charge for toppings such as American Cheese. This surprised our companion and deterred her from giving her meal the highest review. Bison County has a slow pace atmosphere. We did not feel rushed by the staff but felt comfortable enough to stay after eating and finish our beers. There were a few people drinking at the bar and some other couples and groups spotted around the restaurant eating. The reasonable prices, good service, atmosphere, and tastiness of our meals makes us eager to return in the future.